The Android N Developer Preview is out, but only for a select few. Google has a public beta of the next version update of Android, Nougat 7.1.2, available for Pixel and Nexus devices. If you don’t have a recent Nexus, such as the Nexus 5X or Nexus 6P, you’re out of luck. But that doesn’t mean you can’t enjoy some of their functions right now. 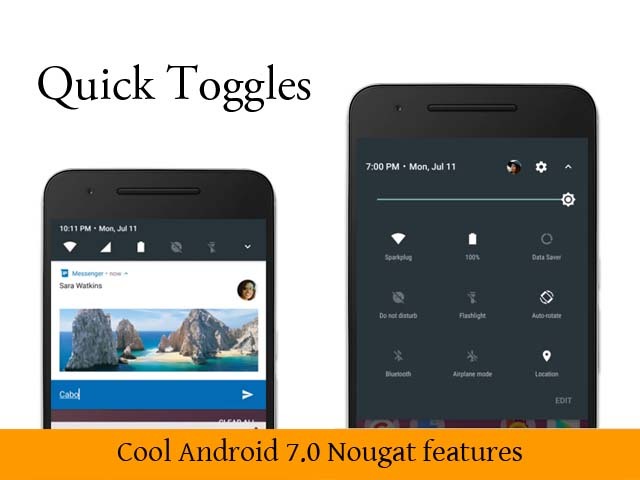 That’s why today we will show you How To Get Android 7.0 Nougat features on Any Android. N-ify is an Xposed module for Lollipop and Marshmallow phones that attempts to bring some of N’s best features to older devices. Google is now incrementally repeating the process, with latest version being Android 7.1.2, with the wider roll-out of Android 7.1.1 still underway. There’s a lot of new stuff happening in Android N, so naturally it can’t all come along for the ride with a simple Xposed module, but N-ify does bring quite a few, including some of the things that were just announced at Google I/O last week. If you have recently rooted your Android or thinking about rooting it then simply go for it as the tweak we are discussing here will completely change your Android experience and make it much more user-friendly. First of all, you need a rooted Android as Xposed installer can only be installed on a rooted Android. If you don’t have root on your device then firstly you need to root it. Once you rooted your Android device you have to install the Xposed installer on your Android. If you complete the root option then you need a cool Xposed module that will allow you to customize your device with Android N features completely. You need to remember that the module that you will be downloading is Android N-ify. After that you need to install the app. And then Xposed module app. Once you done then you need to reboot your device for the proper working of the module in your device. After that you will see the app N-ify is broken down into few sections which include Settings, Status Bar, Header, Recent, Apps, when you open the app. It’s provide you to set each menu according to your wish. Android Status bar has a newer look in Android nougat and you can set the option Style header to ON . After all the process or changes in the settings panel you need to reboot your Android device. Hope you understand and like it and this is all about to Get Android N Like Features on any Android. This is the simple process to get android nougat.